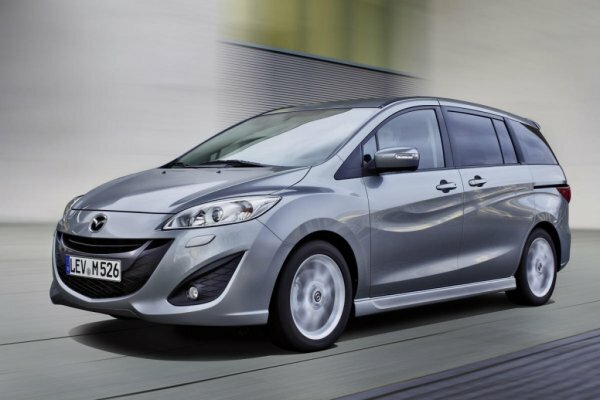 The 2013 Mazda5 was named to AAA's Top Cars for Growing Families list for its combination of functionality, design and performance in a right-sized package. While Mazda calls the vehicle a "multi-activity vehicle" (MAV), most would consider it a minivan. This new list from AAA is their first to focus entirely on family-friendly vehicles, targeted towards expanding families that need more room, but want the ease of a well-handling vehicle that is dependable. AAA has more than 54 million members in the United States and their auto buying experts drive and evaluate hundreds of vehicles every year. The reviewers found that, with a starting price under $20,000, and its fuel-sipping, but sporty 2.5-liter engine, the 2013 Mazda5 fit the bill for many families. A track record for dependability and the extreme versatility the van offers put it over the top. Top notch safety standards are also a reason the 2013 Mazda5 was a pick for AAA. A standard suite of six airbags, anti-lock brakes, electronic brakeforce distribution, dynamic stability control, tire pressure monitoring, and more give it excellent ratings from both the IIHS and NHTSA in crash tests. On a personal note, I own a 2006 Mazda5 and we have found it to be the perfect sized van for our family, with high fuel economy and plenty of cargo/people-moving options to suit. For small families growing into things, this vehicle is a great choice.